Chickens wait for buyers in shop of fresh products. Shop of fresh products. 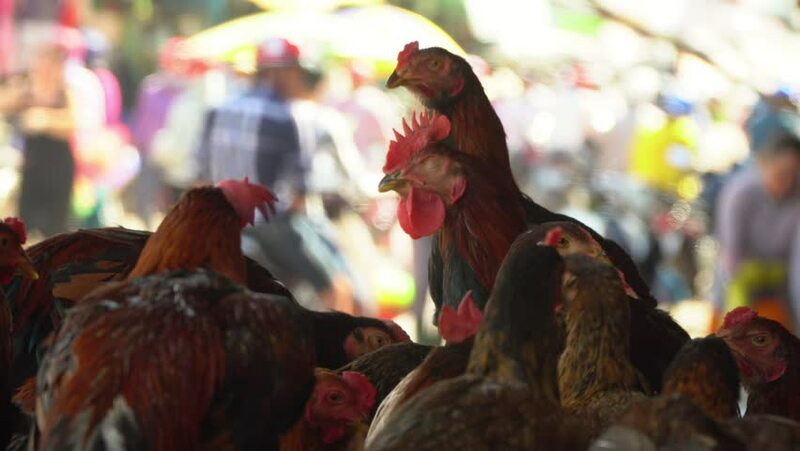 Chickens in the Vietnamese market..
4k00:19Black six link and red six link chickens housed in a large chicken coup on a farm in Midwest United States. hd00:30Hen egg, Chicken in farm. clip with sound. hd00:197th FEBRUARY CARNIVAL IN PTUJ: Men are running around in a crowd as a part of the parade and they are having their faces painted in black and are wearing national costumes of the people in Africa . hd00:137th FEBRUARY CARNIVAL IN PTUJ: Kurents are dancing together in a circle and ringing with the bells around their waist. They look magnificent and big. hd00:30Hens, Chicken in farm. Slow motion.